The Fair Credit Reporting Act (FCRA) is designed to promote accuracy, fairness, and privacy of information in the files of every “consumer reporting agency” (CRA). Most CRAs are credit bureaus that gather and sell information about you – such as where you work and live, if you pay your bills on time, and whether you’ve been sued, arrested, or filed for bankruptcy — to creditors, employers, and other businesses. The FCRA gives you specific rights in dealing with CRAs, and requires them to provide you with a summary of these rights as listed below. You can find the complete text of the FCRA, 15 U.S.C, 1681 et seq. at the Federal Trade Commission’s website. You must be told if information in your file has been used against you. Anyone who uses information from a CRA to take action against you — such as denying an application for credit, insurance, or employment must give you the name, address, and phone number of the CRA that provided the report. You can find out what is in your file. A CRA must give you all the information in your file, and a list of everyone who has requested it recently. However, you are not entitled to a “risk score” or a “credit score” that is based on information in your file. There is no charge for the report if your application was denied because of information supplied by the CRA, and if you request the report within 60 days of receiving the denial notice. You are also entitled to one free report a year if you certify that (1) you are unemployed and plan to seek employment within 60 days, (2) you are on welfare, or (3) your report is inaccurate due to fraud. Otherwise, a CRA may charge you a fee of up to eight dollars. You can dispute inaccurate information with the CRA. If you tell a CRA that your file contains inaccurate information, the CRA must re-investigate the items (usually within 30 days) unless your dispute is frivolous. The CRA must pass along to its source all relevant information you provided. The CRA also must supply you with written results of the investigation and a copy of your report, if it has changed. If an item is altered or deleted because you dispute it, the CRA cannot place it back in your file unless the source of the information verifies its accuracy and completeness, and the CRA provides you a written notice that includes the name, address and phone number of the source. Inaccurate information must be deleted. A CRA must remove inaccurate information from its files, usually within 30 days after you dispute its accuracy. The largest credit bureaus must notify other national CRAs if items are altered or deleted, however, the CRA is not required to remove data from your file that is accurate unless it is outdated or cannot be verified. You can dispute inaccurate items with the source of the information. If you tell anyone — such as a creditor who reports to a CRA — that you dispute an item, they may not then report the information to a CRA without including a notice of your dispute. In addition, once you’ve notified the source of the error in writing, they may not continue to report it if it is in fact an error. Outdated information may not be reported. In most cases, a CRA may not report negative information that is more than seven years old; ten years for bankruptcies. Access to your file is limited. A CRA may provide information about you only to those who have a need recognized by the FCRA — usually to consider an application you have submitted to a creditor, insurer, employer, landlord, or other business. ? Your consent is required for reports that are provided to employers or that contain medical information. A CRA may not report to your employer, or prospective employer, about you without your written consent. A CRA may not divulge medical information about you without your permission. You can stop a CRA from including you on lists for unsolicited credit and insurance offers. Creditors and insurers may use file information as the basis for sending you unsolicited offers of credit or insurance. Such offers must include a toll-free number for you to call and tell the CRA if you want your name and address excluded from future lists or offers… If you notify the CRA through the toll-free number, it must keep you off the lists for two years. If you request and complete the CRA form provided for this purpose, you can have your name and address removed indefinitely. You may seek damages from violators. You may sue a CRA or other party in state or federal court for violations of the FCRA- If you win, the defendant may have to pay damages and reimburse you for attorney fees. If you lose and the court specifically finds you sued in bad faith, you or your attorney may have to pay the defendant’s fees. You may have additional rights under state law… You may wish to contact a state or local consumer protection agency or a State attorney general to learn those rights. 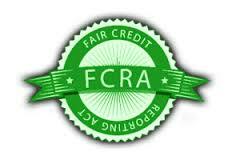 Helping consumers take advantage of their rights to a fair and accurate credit report is what Credit Zeal is about. Credit repair companies provide everyday people with simple, effective, and affordable credit repair services designed to help improve their overall credit picture. Working together with you, they companies I’ve reviewed will challenge inaccurate, outdated, and unverifiable information contained in your credit reports on your behalf, with each of the three major credit bureaus directly. Through the use of proprietary methodologies and proactive interventions, they bring together a whole range of approaches tailored to your specific needs in an effort to help remove or improve questionable, inaccurate, and outdated information appearing in your credit reports. Over the years reputable companies have developed various systems and methods that they have experienced great success with, and have encountered almost every credit issue there is. Negative information such as late payment histories, bankruptcies, charge off’s, judgments, foreclosures, repossessions, collections, liens, settlements, etc, all have to meet the same criteria under the Fair Credit Reporting Act to be continuously reported on your credit report. To date our methods have helped to remove thousands of inaccurate, outdated and unverifiable items from credit reports all over the country. Providing expertise and compassion in a time of need, their services enable people to move forward with their life, by helping them clean up the past.